Heavy metal is a demanding genre no matter what instrument you play, but it can be especially difficult for bassists. High-gain amps and detuned guitars make it tough for the bass to stand out. The right bass tone can mean the difference between contributing to the music and getting lost in the mix. As a bassist, the amp you choose plays an important role here. 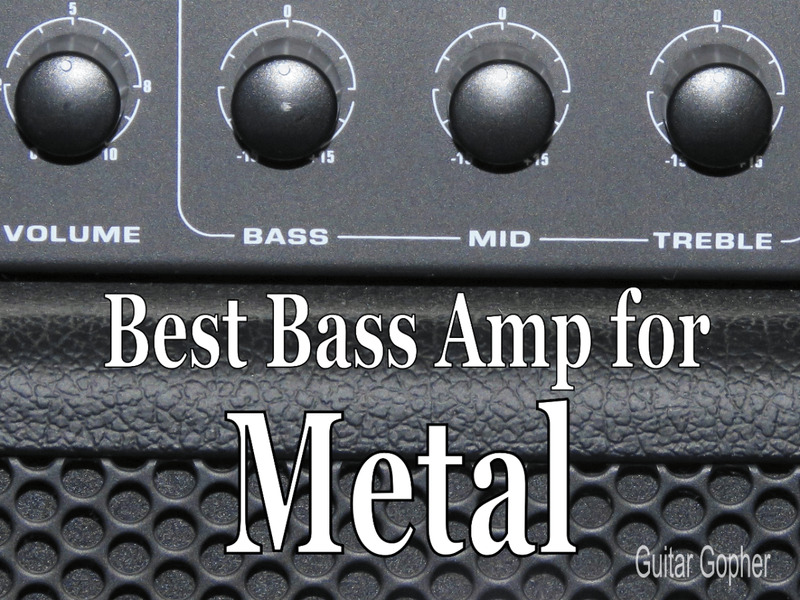 In this article, you’ll read about my choices for the best bass amps for metal, as well as get some advice on whether you should go with a head and cab setup or a combo amp. I made my picks based on gear and brands I know will get the job done, because I’ve used them before. But, there are a lot of bass amps out there to choose from, so I needed to set some boundaries that would sensibly apply to the average bass player. Cost: I’m looking for affordable options here, those amps that bring a lot of value for the money. I’ve never been able to drop a couple of grand on a bass amp and I’m guessing you can’t either. I’ll be keeping things around the $500 mark, give or take a few bucks. Power: As a metal bassist it is getting harder and harder to be heard. Mega-powered guitar amps with monster low-end, along with detuned and 7-string guitars, take up a lot of the sonic frequencies formerly occupied by the bass. I’m looking for an amp in the 350-500 watt range to compete. You can go bigger, but you may also need to increase your budget. Punch: It has always been true that in metal the bass tends to get lost in the distortion and low end created by the guitar. As noted above, this issue is even worse in modern metal. Sometimes it’s the bassist's fault (or the sound engineer). Dialing in muddy, undefined tones is the recipe for a disappearing bass line. Instead, I want something with a little punch and aggression to it. Choosing the best bass guitar for metal helps a lot, but having an amp that can hold its own in the maelstrom that is modern metal is equally important. In this article, I’ll suggest a few amps that I think make the cut. As always, remember, this advice is based on my own opinions and experiences. I encourage you to do your own research and draw your own conclusions. And, be sure to check out the manufacturer’s websites for the most up-to-date info on their gear. The Hartke 3500 is probably my favorite bass amp of all time. I used it for years playing in bands, and if I were to find myself in band tomorrow this would be the amp I turned to. It is also really affordable, so you have plenty of wiggle room in your budget for a decent cabinet. The 3500 puts out 350 watts at 4 ohms and 250 watts at 8 ohms. I ran it initially with a Genz Benz 1x15 and later with a pair of Avatar 2x12s and never had any trouble being heard alongside my guitarist’s 100-watt Marshall half stack. In other words, it’s plenty loud. This is actually a hybrid amp, with both tube and solid-state preamps that you can mix via a pair of rotary controls. It has onboard compression, and two rotary controls for high-pass and low-pass contour. However, the feature that makes this amp stand out is the 10-band graphic EQ. You can switch it off if you want to, but why in the world would you? Using the sliders you can dial in exactly the sound you are looking for, making the 3500 somewhat of a tonal chameleon. For me the 10-band EQ came in very handy playing bass in metal bands, as I was able to get the punch and grit I wanted while playing with a pick. However, when I found myself playing in a bar band a couple of years later and needed more of a rounder, jazzy finger-style tone I could dial that in just as easily. So, I highly recommend checking out the Hartke 3500, especially if you are on a tight budget. My top choice when it comes to bass amps for metal is the Hartke HA3500. It’s a powerful but affordable hybrid amp with a 10-band graphic EQ for incredible tone shaping possibilities. It’s also very versatile. I used mine for everything from extreme metal to classic rock to jazz. To me the Ampeg bass amp stack is the equivalent of the Marshall guitar amp stack. I just love the look and sound of those Ampeg tube heads on top of a couple of 4x10 cabs, or (yikes!) Ampeg's classic 8x10 cab. It gets the blood pumping when you see those things onstage, before the band even comes out! I’ve never owned one of those expensive, high-powered Ampeg tube stacks, and if I bought an 8x10 cabinet home today my wife might leave me. However, I have owned a few Ampeg Portaflex solid-state amps over the years and I’ve always been impressed with how they manage to capture that classic tone. 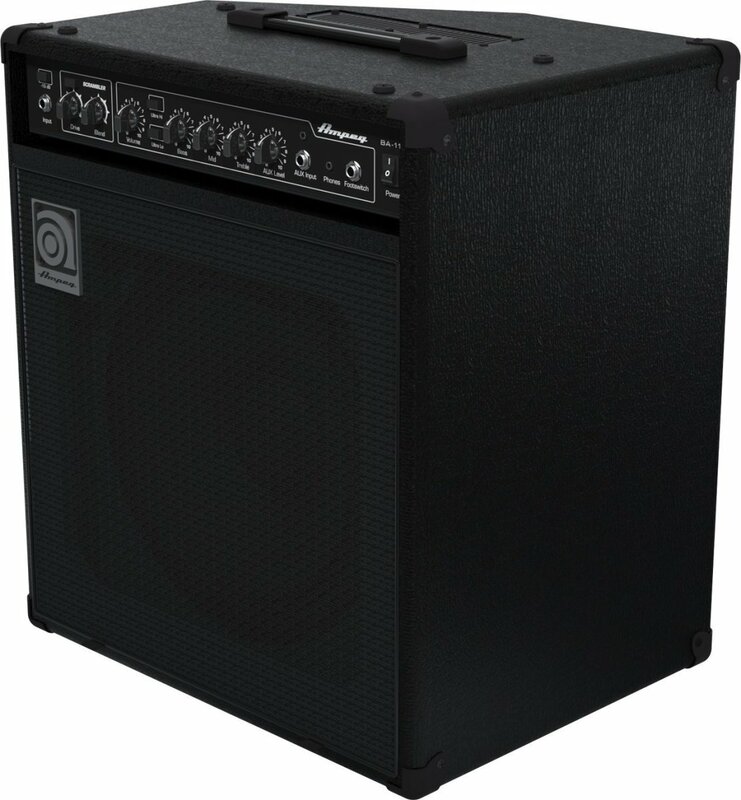 For that reason, and because they tend to sound great in general, an Ampeg solid-state amp is number two on my list. If you love the Ampeg tone but you don't have a lot of cash to throw around I suggest checking out the Ampeg Portaflex PF-500. This is a simple and affordable amp that packs big punch in a little package. It puts out 500 watts at 4 ohms and 300 watts at 8 ohms, so you have the power you’ll need to compete with the big boy guitar amps. There are some cool features here, such as onboard gain for dialing in that legendary Ampeg grit, and onboard compression to stop you from blowing out your speakers with all that power under the hood. There is a 3-band EQ with a midrange sweep along with ultra high and low switches for tonal control. While this may be a little less versatile than the Hartke above, I can say I’ve never had any trouble dialing in tones I like on an Ampeg bass amp. This amp is also a little more studio friendly than the Hartke, with both audio in and headphone jacks located on the front panel. Peavey is the third brand in the unholy trinity of bass amps I always recommend for metal. I remember when most Peavey amps were made in the USA. I swear I could probably have hammered a railroad spike with some of the Peavey bass gear I owned back then and it would still have worked just fine. These days a lot of Peavey amps are made overseas, but there is still a tradition of bulletproof ruggedness that comes along with their amps. They are also really loud, more so than the power rating would suggest. I recommend the Peavey MiniMax to bassists who need a powerful bass amp but also something highly portable. I always kept my bass amps in rack units, which are sturdy but bulky. The MiniMax actually comes with a little gig bag, making it super easy to carry around. Pair it with a good cabinet and you’re set. When I think of Peavey bass tone I think loud and clear, and you'll get that here, but if you need a little grit this amp features an onboard gain control. EQ controls across the board are cut/boost of 15 dbs in each direction for bass, mid and treble. It also has an onboard tuner, so you can leave at least one pedal at home. Additional EQ shaping include Punch, Mid-shift and Bright controls for some extra flexibility. 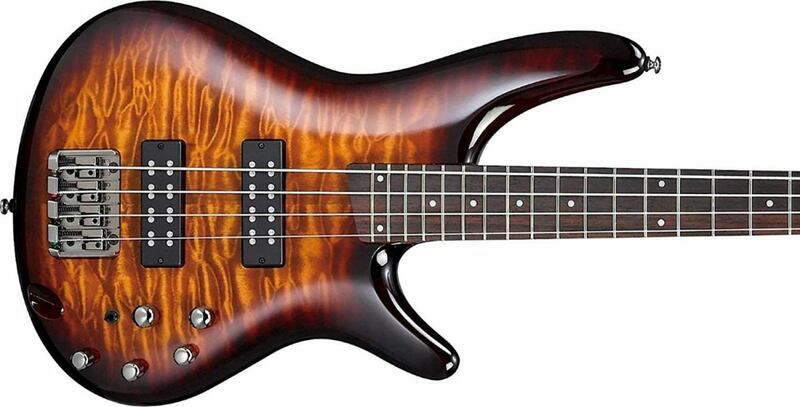 There is also Peavey’s patented Psychoacoustic low-end bass enhancement, which helps to add a little low end while not stressing your speakers too much. If your idea of a great metal bass tone is loud, clear and punchy then I’d give this amp a look, especially if you don’t like the thought of lugging a lot of heavy gear around. The amps listed above are my top picks when it comes to the best bass amps for metal, but there are others out there. In fact, there are lots of others out there, which is why I suggest doing your own research and seeing what you can dig up. The right amp for one player is not necessarily a good choice for another, so it is important to blaze your own trail and find the best amplifier for your own taste. With that said, here are few more recommendations you may wish to check out. Consider them honorable mentions that didn’t make my main list for one reason or another. 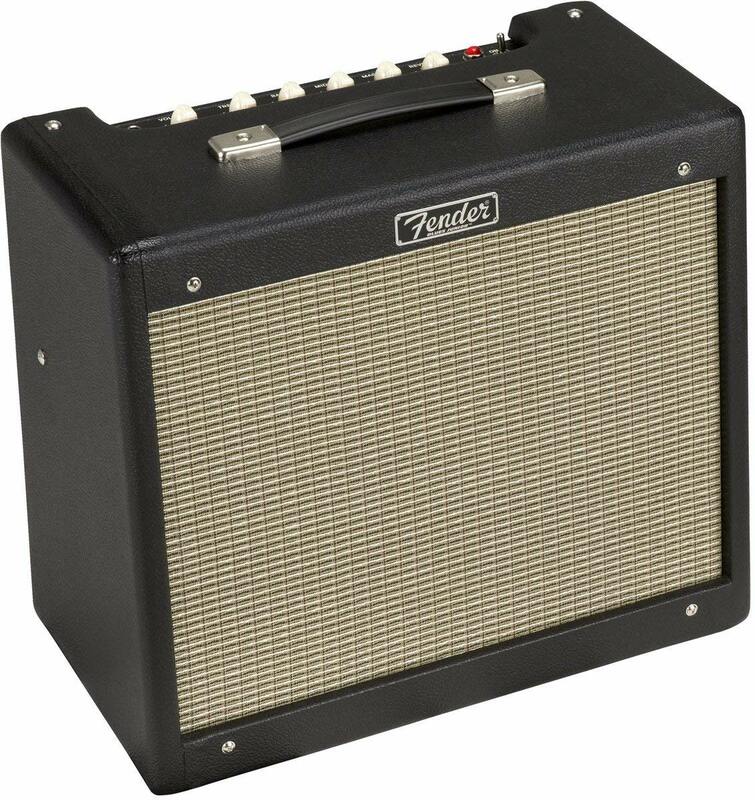 Fender Rumble 500 Head: I love Fender bass amps, and I love the Rumble Series. In fact, my little bass practice amp that I use most often these is an older model Rumble 15. I think the Rumble 500 is well worth a look as a bass amp for metal, and the only reason it didn’t make my main list is because I was limiting myself to three. Ashdown Rootmaster RM500: I really like Ashdown gear, but unfortunately my only experience with their amps has been in a non-metal capacity. So, as far as sound and quality goes I think they are top notch, but I’d love to hear from any readers in the comments section as far as how they fair in the metal world. Bugera Veyron BV1001M: Yeah, I know. I have heard all the Bugera hate, and frankly I’m on the fence, but I think this amp is worth mentioning. Ultimately, I think if you can get good gear for a good price, why not at least check it out? In the case of the Bugera Veyron BV1001M you get a 2,000 watt bass amp for well under $500. Holy moly! There are some great combo bass amps under $500 out there, and some really outstanding ones under $1000. But, there are a few reasons that I probably wouldn’t consider a combo amp if I were playing bass in a metal band. For one thing, most combo amps tend to be mid-wattage. A 150-watt amp is fine for playing at home and for some band situations, but you will struggle to be heard in a band with loud guitars and a maniac drummer. The exception to this is if you choose an amp with an XLR-out that you can run to a mixing board, and you can then use the amp as a sort of stage monitor. That means you have to have access to a PA system for rehearsals. The other reason is because I’d prefer to mix and match my amp and speakers. Guitar combo amps are pretty standard with 12-inch speakers, but bass combo amps may have 12, 15, 10, or even 8-inch speakers. I’d rather put together the setup I want instead of settling one way or the other, especially since bass amp heads are typically much more portable compared to guitar amp heads. Still, there are a few bass combos amps that have the power to get the job done. Here are suggestions based on a some of the amps I recommended above. Hartke HD500: It lacks the 10-band EQ I love, but still gives you 500 watts of awesome Hartke tone in a 2x10 package. I really like the HyDrive speakers too. Ampeg BA210: Rated at 450 watts this little beasty certainly has the power to do the job, along with that classic Ampeg tone. 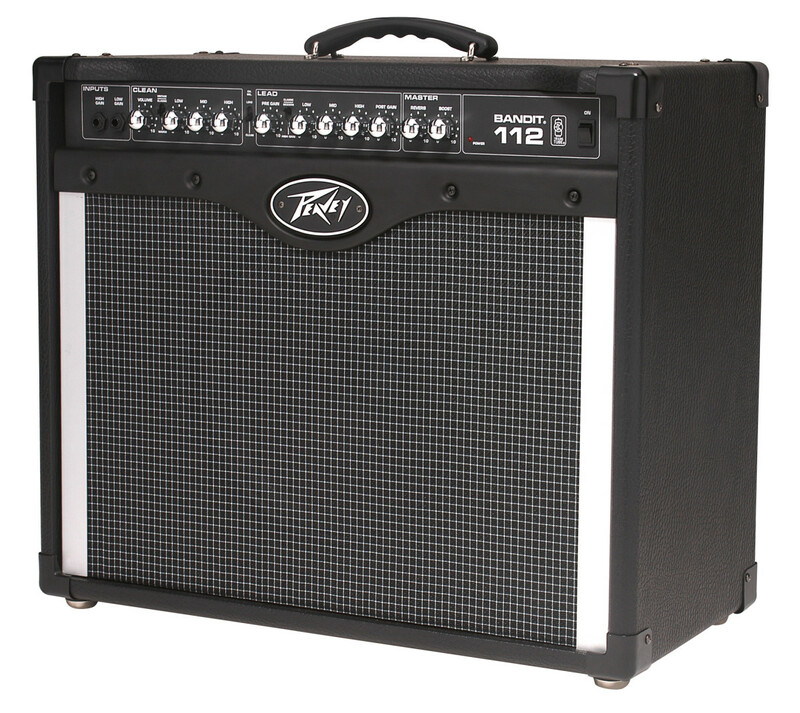 Peavey MAX 115: Similar to the MiniMAX above, with a 300-watt power rating and a few altered features. Really, the only thing I have against them is they are all 2x10 combos, and again I’d rather choose my own speakers. Ten are usually nice and punchy, but sometimes lack the low end you'd get from twelves or a fifteen with a horn. But, if you dig 10-inch bass speakers these amps may be perfect for you. Be sure to check them out! Which Amp Will You Choose? As with any gear choice, there is no one correct answer for every bassist. Even in a specific genre such as metal there is a wide range of opinions on how a bass should sound, and what kind of amplifier will best get the job done. But maybe you have another idea. That’s fine too. There are a lot of metal bands I love even though the bass tends to be lost in the mix, or, worse, sounds muddy or boomy. But that’s just my opinion. The point is, go out and different amps until you find the one that gets you fired up. That one is the best bass amp for you. Which bass amp brand is best for metal? Out of these three, which would you choose?